Dish Networks (which is, incidentally, dropping the “Networks” and just going by “Dish”) unveiled a new multi-room DVR system at CES, called Hopper. Indeed, it’s very cool to see that the company is thinking forward and opening up viewing options to users to match existing technology instead of artificially limiting it. 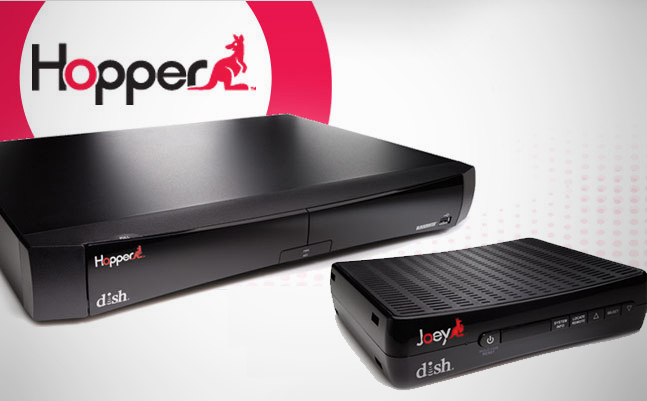 Would you get Dish’s Hopper if it were available in your area? Personally, I can’t wait to get it. I may be a bit biased though, being that I’m an employee, but I was simply a subscriber for years before that, and I don’t mind saying that I’d been hoping for a whole home DVR for some time. Now that it looks like I’m getting my wish, it appears like it’s going to blow my expectations away. I mean 250 high definition hours of recording time shows us that they’re concerned with the big-picture, and features like having a remote-finder function shows the engineering team paid attention to the little details too. I’m psyched and hope to have one in my house soon. Nosgoth, did you ever get upgraded to the Hopper? I got one back in March and it has changed the way my family watches TV. Once we argued over what shows to record but that is no longer an issue thanks to Primetime Anytime. It seems there have been some upgrades to the Hopper since you first posted; Dish has added support for Pandora and doubled the recording space to 500 hours of HD. More recently, I discovered a huge update after a long night working at Dish last week. It’s called Auto Hop and it first introduced itself to me when I chose an episode of NCIS from Primetime Anytime. A pop up asked me if I wanted to skip all of the commercials for that episode. Who would say no? If you did get a Hopper, what do you think of the changes?